Still from The Blair Witch Project. 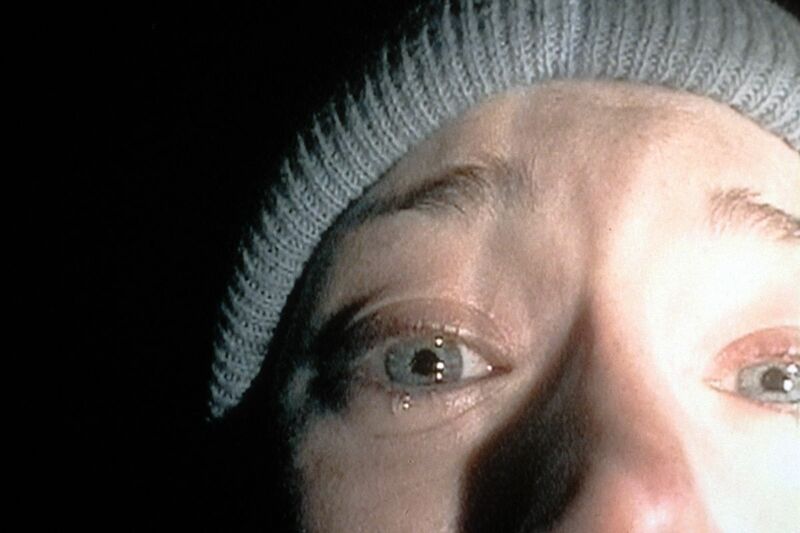 Ever since 1999âs The Blair Witch Project sent early internet denizens scouring the web to figure out if its spooky, shocking story was actually true, we canât seem to get enough of found-footage movies. In the 19 years since Blair Witchâs theatrical run, 18 found-footage horror movies have made $15 million or more at the box office â" which constitutes a financial success, considering how cheaply most of these movies are made. (See: The Gallows, which mad e almost $24 million on a reported production budget of $100,000.) Thatâs about one hit per year. As niche tastes go, found footage has a nice track record. The subgenre has also seen its share of genuine blockbusters. Blair Witch and 2008âs Cloverfield became bonafide cultural phenomenons during their days. Two of the Paranormal Activity movies topped $100 million at the US box office and another grossed $80 million, huge hits for three consecutive Halloweens. As streaming takes over, the market has continued to grow for the kind of low-budget, easy wins that found-footage films can provide, and the barrier to entry for filmmakers looking to try their hand at some quick-and-dirty handheld scares is lower than ever. Searching âfound footageâ on Amazon Video yielded 222 results. So what is it about found footage? In an age when you can pull a phone out of your pocket and record movie-quality video, I think thereâs something d eeply authentic and compelling about a movie that mimics something we ourselves might shoot. Itâs escapism in its rawest, most intimate form. Pair it with the primal emotions of horror, the genre thatâs home to most of these films, and you have a reliable formula. Personally, I love found footage, and think it doesnât get enough credit for how flexible it is: Itâs a subgenre that can work for everything from claustrophobic chamber dramas to fantastical epics like Cloverfield and Troll Hunter. I myself often find the cheaper ones, in their rawness, more compelling and more legitimately unsettling than the found-footage movies Hollywood produces. The amateurish aesthetic only heightens their effect. But as any fan knows, the quality variance is high, and not just because seemingly anybody can make a found-footage movie. Youâre as likely to find a dud as something memorable â" and you can never be sure which youâre going to get, given these films rarely attract top-tier stars or directors that might serve as some kind of proxy for quality. However, in the defining paradox of found footage, that can also be their strength. Strip away the big names and movie magic gloss, and youâre left with a couple actors, a camera, and a story â" and when the right combination clicks, it can result in an effectively terrifying experience. I found some great horror flicks. I also saw some duds. So, as a Halloween treat, and in an effort to uncover some hidd en gems, Iâm pointing you in the right direction with this list of some of the best found-footage horror available on streaming. And I ranked them, because why not. The details: USA, 2014. Directed by John Erick Dowdle. Available with subscription on Netflix. Why watch: Sometimes, all a found-footage film needs is the right setting. This descent into hell (played here by the Paris catacombs) is visually mesmerizing, which makes this movie worth your time even if the scares can be a bit inert and the drama a bit hackneyed. Plus, Perdita Weeks is compulsively watchable as Scarlett, the a lchemy student who brings a documentary crew and ex-boyfriend in tow, and the hellish final act is appropriately bizarre and discomfiting. This is one of those found-footage movies with an impressive sense of scale: Youâve taken a real journey by the final frame. Try if you like: The Descent. With its narrow passageways and suffocating sense of claustrophobia, the comparison is inevitable. The details: USA, 2013. Directed by Karl Mueller. Available with subscription on Shudder. Why watch: Itâs best to go into Mr. Jones knowing as little as possible. Part of the joy of Halloween horror movie season is stumbling upon titles you would never otherwise look for and seeing where they take you. That mindset can only help when watching Mr. Jones, which takes likable characters a nd distinctly creepy imagery and applies them to a story that becomes quite the head trip. To say much more would spoil the fun. Try if you like: Unbreakable â" but, again, Iâm reluctant to elaborate. Letâs just say found footage has a special ability to, in its practical limitations, force filmmakers to be more imaginative. The details: Canada, 2012. Directed by Christopher MacBride. Available for digital rental on Amazon and iTunes. Why watch: This one benefits from a great set-up: What if the man raving about the end of the world outside of Congress was right? Iâm a sucker for any found-footage story thatâs framed as âeverything went wrong for this documentary crew.â There isnât much more here than a killer premise and a memorably creepy finale, but that is one beauty o f the found-footage genre: These movies often donât need much more than that to be successful. Try if you like: Rosemaryâs Baby. The occultism is omnipresent, and the movie is less interested in scaring the pants off of you than in constantly nudging you about how near to your own reality this whole scenario seems to be. The details: USA, 2016. Directed by Phil Guidry, Simon Herbert, and David Whelan. Available with subscription on Amazon Prime. Why watch: The most horrifying thing in Savageland might be the dialogue uttered by some of the white, openly racist side characters who populate its mockumentary pastiche. Say this for the filmmakers: Theyâre willing to let those characters be as nasty as need be. They donât pull any punches in this gory tale set in Arizona near the US-Mexican border. Through a narrative not unlike that of Making a Murderer, we learn the story of a Mexican immigrant who might have been wrongly accused of a truly gruesome crime. This is another small film, made on a self-evidently low budget, that has a big imagination and is bedeviled by tough, urgent political questions. Try if you like: Get Out. Itâs certainly not the scariest film on this list, but, like Jordan Peeleâs masterwork, this movie is more interested in making you uncomfortable than making you jump out of your seat. The details: USA, 2016. Directed by Nigel Bach. Available with subscription on Amazon Prime. Why watch: This is a genuine one-man show that might leave you wondering if Nigel Bach just took $1,000 and rented a random house for a weekend. Bach (who rece ives every notable credit here) plays Tom, a man who thinks heâs buying a house that will make for a quick flip and a tidy profit. But then the furniture starts to move on its own. As found-footage set-ups go, Tomâs reasons for filming are left a little ... vague. But you donât come to these movies looking for iron-clad logic. And even with no budget to speak of, Bachâs film still got to me, thanks in part to an unforgettable final shot, which has been a staple of the genre since Blair Witch. Try if you like: The Blair Witch Project. The setting is totally different, but Bad Ben marries a do-it-yourself-attitude with an impeccably realized atmosphere in a way that echoes found footageâs breakout movie. The details: Canada, 2011. Directed by the Vicious Brothers. Available with subscription on Shudder. Why watch: Finally, a little self-awareness: Colin Minihan and Stuart Ortiz, a.k.a. filmmaking duo the Vicious Brothers, effectively spoof those ghost hunter shows that were briefly a hot trend, while still building toward a genuinely suspenseful second half. A key element of many found-footage films set in one place (which is a lot of them) is geography. Each haunted house or hospital has rooms or hallways â" or, in the case of Grave Encounters, tunnels â" that start to gain a personality and help build expectations that skilled directors like the Vicious Brothers can then exploit as the audience grows a little too comfortable. Try if you like: Scream. Itâs not taking itself too seriously but there are still solid scares to be found. The details: USA, 2011. Directed by Henry Joost and Ariel Schulman. Available for digi tal rent on Amazon and iTunes. Why watch: Looking back, itâs honestly impressive that the Paranormal Activity series squeezed three worthwhile movies out of its premise. There was so much potential for this franchise to get stale â" and it did, eventually â" but it took longer than youâd think. The mythology really took over as the series went along, and the third filmâs exploration of the storyâs universe, while turning back the clock a little bit, gives it a fresh feeling and a gloriously gonzo finale. The 1980s, with their flickering, ever-skipping videotapes, are a great period for the found-footage aesthetic. Try if you like: Any Paranormal Activity movie. This is a series you can jump around in, so if youâve only seen the first or gave up after the second, this is the franchise at its best. The details: USA, 2015. Directed by Stephen Cognetti. Available with subscription on Amazon Prime. Why watch: Critical to any found-footage movie is the set-up. Why are they filming? Why do they keep filming? Why, for the love of God, do they keep filming? As set-ups go, Hell House LLCâs is pretty great: A crew of drifters put on haunted houses for money in random towns over the Halloween season. They like to record themselves for the memories and to document their talents in scaring their guests. Thereâs an implied history that adds some heft to the characters and their relationships. But as the movie goes on, the haunters become the haunted. Their latest house has a bloody backstory, and, as we learn at the very beginning, something is going to go horribly wrong on Halloween night. But what? This movie is extremely seasonal in the best way. There are also clowns. Iâm not going to say anything else. Try if you like: It. With its strong sense of place and some seriously scary clowns, Hell House LLC is a nice compendium to last yearâs huge horror hit. The details: USA, 2013. Directed by Blair Erickson. Available for digital rental on Amazon and iTunes. Why watch: Your definition of âfound footageâ might vary, but much of The Banshee Chapter is archival video or in-universe uncovered footage placed within a mockumentary framework. It counts. Itâs also, scare-for-scare, the most frightening film Iâve seen this year. Director Blair Erickson just knows how to craft a terrifying moment, and the filmâs backstory of real CIA programs adds to the disquieting ambiance. Itâs unsettling t hroughout, and youâll yelp at least once. Try if you like: District 9. Especially in its formatting, the film is reminiscent of that movieâs blend of found footage and conventional moviemaking. The details: USA, 2017. Directed by Patrick Brice. Available with subscription on Netflix. Why watch: The Creep films constitute the only found-footage series that doubles as an enthralling, inexplicable character study. Mark Duplass stars as our killer, Aaron, who is ... reflective on his murdering ways. He likes to share. He likes to talk. He even hires random people off the internet just so they can film him talking â" for starters, anyway. The first Creep, released in 2014, is good, but the second, which brings Desiree Akhavanâs Sara in as Duplassâs sparring partner, is even bolder. Itâs sort of funny, highly uncomfortable, and totally terrifying in a few sequences. Try if you like: The Silence of the Lambs. Duplassâs unforgettable performance, combined with his complicated relationship with Sara, a worthy foe, reminds me a lot of the Hannibal Lecter-Clarice Starling classic. The details: Japan, 2005. Directed by KÃ´ji Shiraishi. Available with subscription on Shudder. Why watch: This is the mother of all horror mockumentaries. Whereas many other found-footage movies go small, Noroi runs in the opposite direction, with a speaking cast of well over 25 characters and a nearly two-hour runtime. The film follows paranormal researcher Masafumi Kobayashi, who embarks on a hellish odyssey while investigating an odd woman, her mysterious son, and some strange deaths. Along the way, we get a taste of everything: Japanese variety shows, classic talking heads, presumably recovered footage from Kobayashiâs own files. It gets very meta when actress Marika Matsumoto shows up playing a possibly possessed version of herself. Noroi is more interested in building a searing sense of dread than conventional scares, but images from its final reel will still burn into your brain. Shiraishi is maybe the worldâs only found-footage auteur (heâs made at least four others over the past decade or so), and Noroi shows all the things he can do with the form. Try if you like: The Ring. Maybe thatâs a bit obvious. But J-horror does have its own distinct mood, so your feelings about the most successful American crossover are probably a good indicator of how much youâll enjoy Noroi. The details: U SA, 2014. Directed by Adam Robitel. Available for digital rental on YouTube. Why watch: A possession movie that starts as a drama about Alzheimerâs disease, The Taking of Deborah Logan offers such a singularly brilliant premise itâs a little baffling that nobody thought of it before. For this subgenre, The Taking of Deborah Logan stands out as an impressive artistic achievement. It is first and foremost a painfully relatable family melodrama, with affecting performances and fully realized characters. But the terror comes hard and often in a second half that goes off the rails in the best way, when our millennial documentary crew discovers they are filming a very different story than they originally imagined. Try if you like: Hereditary. Jill Larson and her remarkably malleable physique dominate this movie much the same way Ton i Collette owned 2018âs best horror film. Both films successfully plumb issues of mental health and psychology with a demonic motif. The details: UK, 2013. Directed by Elliot Goldner. Available for digital rental on Amazon and iTunes. Why watch: What makes Final Prayer work so well are the relationships: a semi-disgraced ex-priest is joined by a goofy, agnostic cameraman and a mildly authoritarian church official to investigate a demon-haunted church in rural England. The performances are strong and the characters actually get the time to talk about life and reveal themselves a little. The trio sets up cameras in their house and the church and they wear headsets almost constantly because theyâve been charged by the Vatican with figuring out whether there is any evidence for this alleged haunting. It adds a little authenticity, providing an answer to that ever-present found footage question of why theyâre filming and why they keep filming. You get agonizingly still, quiet scenes while waiting for something to move in the sanctuary (a la Paranormal Activity) and more kinetic action when we switch to the charactersâ point-of-view. Itâs creepy throughout, without leaning on jump scares. Then, at the end, the story goes in a wildly unexpected direction. Try if you like: The Exorcist. Final Prayerâs horror incorporates a lot of Catholicism, in a good and thoughtful way. 5 fascinating stories about Lee Israel, the real person behind Can You Ever Forgive Me? Social issues YA novels can be terrible. T he Hate U Give is a stunning exception. Twitter released 9 million tweets from one Russian troll farm. Hereâs what we learned.